We are saddened to hear of this injury accident in Barnstable. We hope for a full and complete recovery for all victims. Fortunately, it does appear at this time that all injuries sustained are non life-threatening. Every day, in our law practice we deal with all types of accident victims, whose injuries range from soft tissue, up to catastrophic and permanent and even death in some cases. 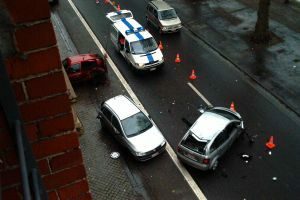 Car accidents are difficult for all involved and there are simply no easy solutions when you or a loved one has been injured unexpectedly in a crash. The aftermath is as bad or worse than the accident itself. While most people fortunately survive the initial accident, they can be left with a mountain of problems afterwards. Dealing with insurance companies to receive reimbursement for property damage and injuries can be overwhelming to many accident victims without the aid of a good personal injury attorney. In these times, you need a strong advocate who can fight for you to ensure that your legal rights are protected and that the insurance company is forced to offer a fair resolution to your case.